There’s something about making bread that just makes me feel so happy. I love the specific process required to achieve excellent results. I am by no means a top bread maker, but the basic skills I learned in culinary school can be applied to make a lot of delicious types of bread. I typically find myself making pizza dough because I’m a pizza addict, but the other day I went in a different direction and made some focaccia. I tried a new method where I used 3 parts all purpose flour to 1 part cake flour. 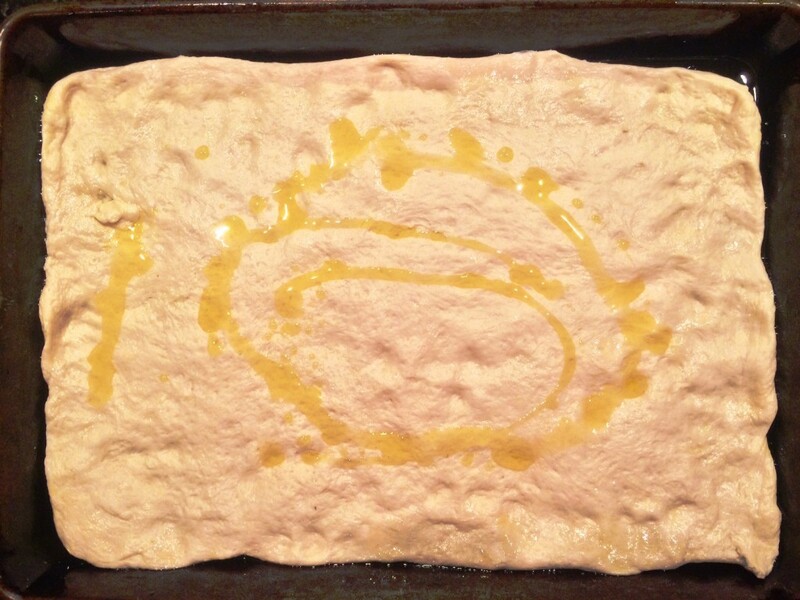 The cake flour gave the focaccia its classic airy texture and lightness. 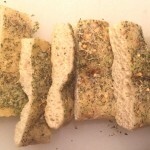 I simply topped mine with some dried herbs, crushed red pepper, olive oil and Pecorrino Romano cheese. After taking it out of the oven, I drizzled on some good olive oil and served it beside this Three Cheese Tortellini and Spinach Soup – a perfect pairing! 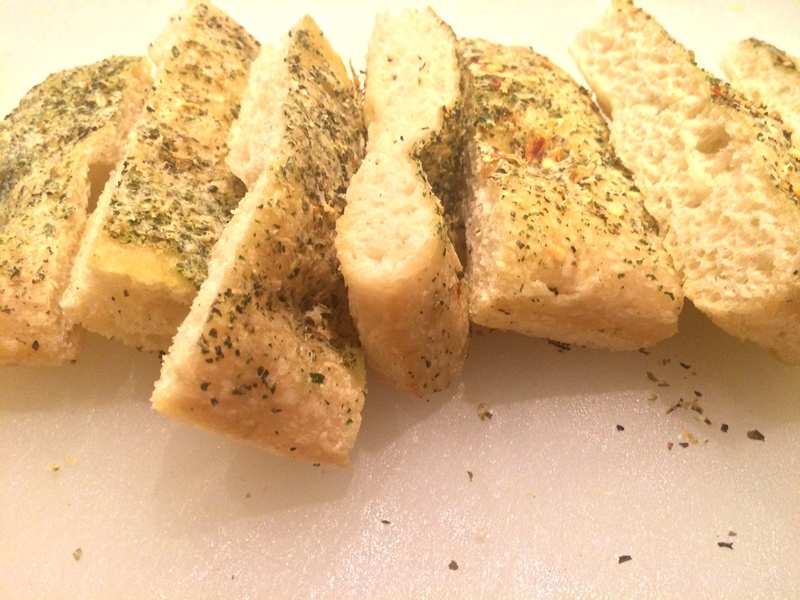 After baking, drizzle with some more olive oil, cut and serve! Mix water, yeast and sugar in a large bowl. Let stand for 15 minutes. Meanwhile, in a separate bowl combine flours and salt. Mix well. After 15 minutes, add half of the flour mixture to the water. Mix until just combined. Cover and let stand for 1 ½ hours. Remove cover and add 2 tbsp. of extra virgin olive oil. Working in thirds, mix in the remaining flour. When all the flour is added, mix until combined and then turn dough out onto a lightly floured surface. Knead for 5 – 7 minutes until dough is smooth and slightly tacky. Place dough in a clean and lightly oiled bowl. Cover and let rise for 3 hours. 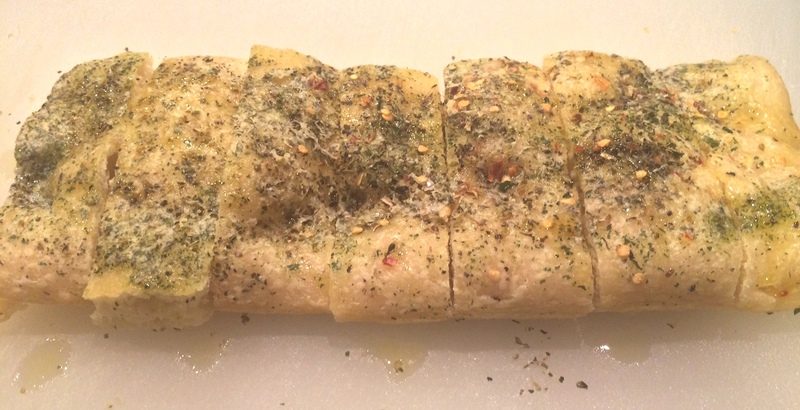 After three hours, evenly spread half of the remaining olive oil onto a large sheet pan or two 13″x9″ pans. Place dough onto pan (or split dough evenly amongst the two pans) and using your hands, gently press and stretch the dough to fit the pan. 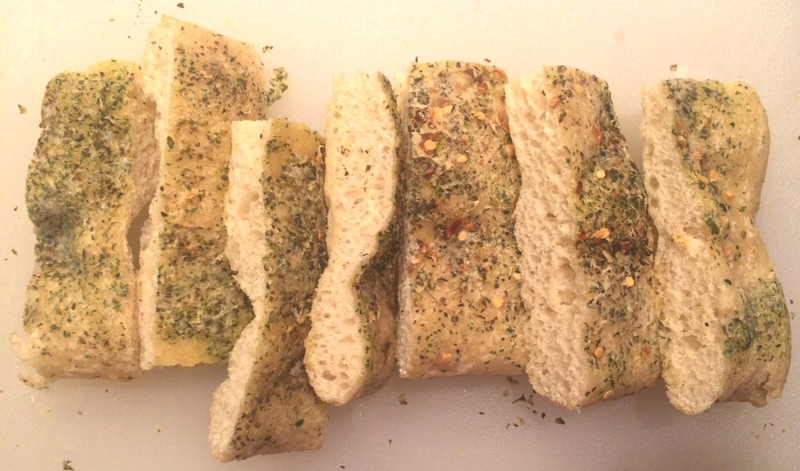 Brush the top of the dough with remaining olive oil and then evenly sprinkle on the remaining ingredients. 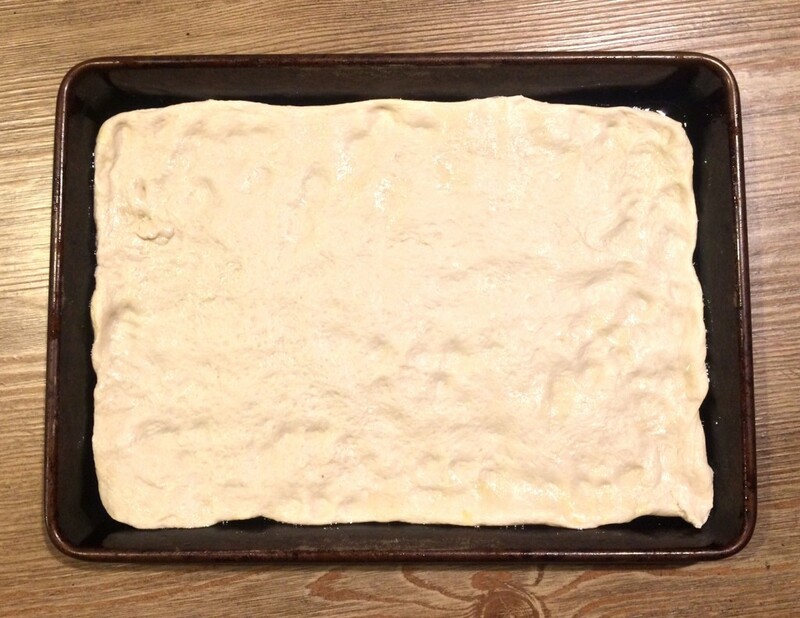 Let dough rest while the oven pre-heats to 350 degrees. When oven is pre-heated, cook for 25 – 35 minutes until golden brown. Remove from oven, drizzle with additional olive oil and serve immediately.